On the eve of International Women’s Day, personal finance journalist Jean Chatzky says she worries about a paradox at the heart of women’s investing habits: Women are better at investing than their male counterparts, but they prefer to stash their money, exposing them to greater financial risk. Chatzky says women tend to be more cautious with money than men, but that caution can backfire. Chatzky made the comments to Editor-in-chief Andy Serwer in a conversation that will air on Yahoo Finance on Thursday in an episode of “ Influencers with Andy Serwer ,” a weekly interview series with leaders in business, politics, and entertainment. Also in the episode, Chatzky explains her thoughts on what leads to poor spending habits, how best to help children become financially independent, and why wealth inequality has influenced her work. 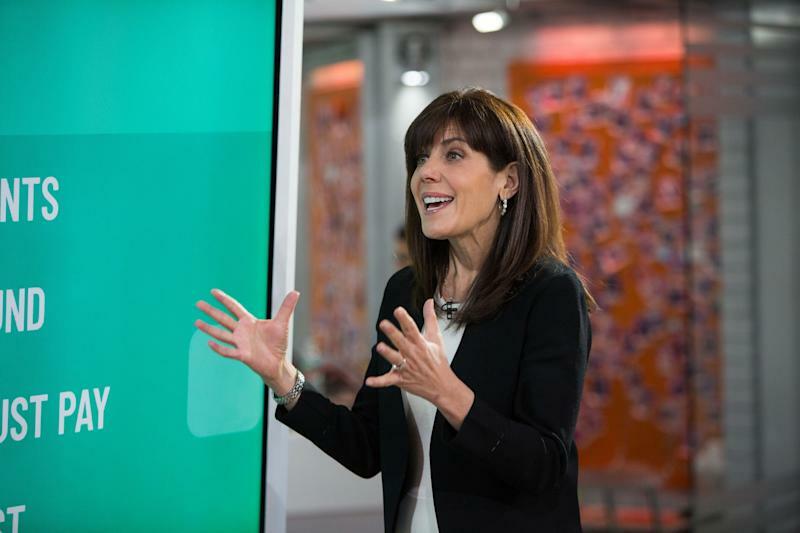 Chatzky has been a personal finance journalist and author for decades, offering advice in appearances on NBC’s Today Show and in columns for Smart Money and Money Magazine. She is also an advisor for AARP and Fidelity Investments. Last year, she launched a website and podcast HerMoney that focuses on financial topics important to women. Women face unique financial obstacles, says Chatzky. They make less money over the course of their careers than men due to the gender pay gap and the choice some women make to temporarily leave the job force. But women also live longer than men, putting strain on women’s retirement funds. Meanwhile, studies show that women who do invest outperform their male counterparts. But only 26% of American women invest their money in the financial markets, even though 41% say now is the time to do so, according to a recent report from S&P global covered by Yahoo Finance’s Sibile Marcellus . Women may hold as much as $72 trillion of the world’s investable wealth by 2020, the report said. Chatzky says that dynamic underscores the need for women to manage their money effectively. “The fact that we need to be saving aggressively and investing aggressively is more important for women,” Chatzky says. For big spenders who neither save nor invest, Chatzky said their genes probably have a lot to do with it. Nature has a bigger effect on our spending habits than nurture, she says. “Anybody who has multiple children knows this...you have likely witnessed the fact that although they grew up in the same environment, they're probably very different when it comes to managing money,” she says. Elaborating on the subject of children’s spending habits, Chatzky gave advice on how to help kids become financially independent: start them with an allowance and encourage them to get a job. Finally, Chatzky said that worsening wealth inequality has had a significant impact on her work, especially when it comes to health care. “It's going to be a real drain on the resources of this country if we don't do something to fix that, if we don't do something to make sure that there is some sort of basic level of health care for society as a whole,” she says.